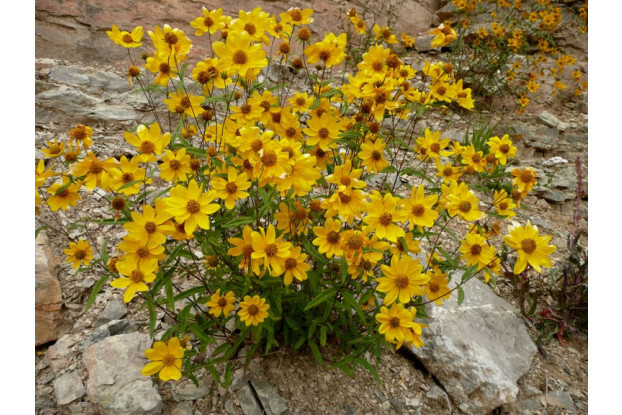 This native perennial wildflower, a member of the sunflower family, is common throughout the Intermountain West. Showy Goldeneye can grow up to three feet tall. The golden yellow flowers resemble miniature sunflowers. It blooms in mid-summer and will last until October, providing excellent fall color to the landscape. It is very drought tolerant and, once established, requires no supplemental water. This wildflower works well on gravely slopes.